Cady Aquastore and CST Storage provide a turnkey product that will provide low maintenance performance for years to come. The Aquastore® and TecStore® tank products meet ANSI/NSF Standard 61, AWWA D-103, AISC, FM codes and NFPA Standard 22. Submittal drawings and design calculations are available for each tank. Factory designs are submitted with a Professional Engineers Stamp, and each bid proposal will include a concrete foundation design that will be reviewed and certified by a CST Storage Professional Engineer for both embedded starter ring concrete floors and foundations with steel floors. 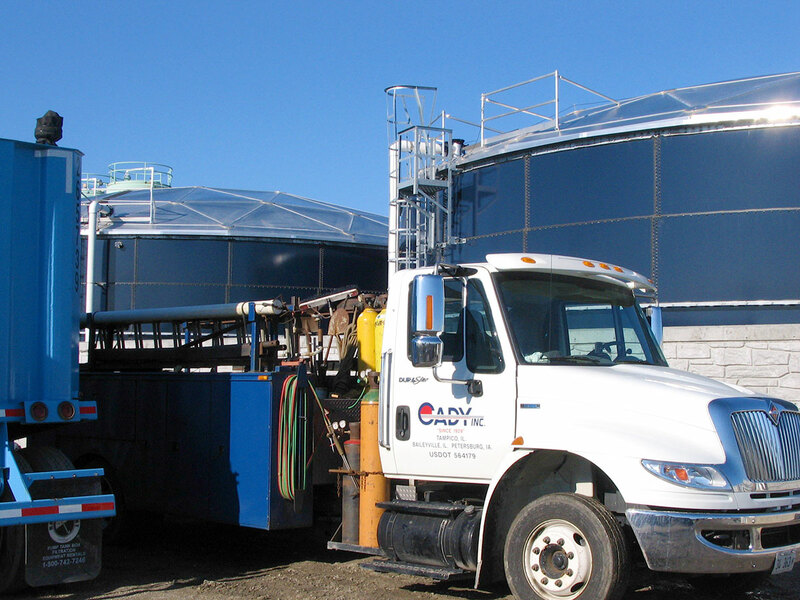 Cady Aquastore provides tanks that are turnkey installations, which includes designing and building tank foundations and installing all appurtenances (manways, ladders, level indicators, etc. ), overflow funnels and piping, and inlet/outlet nozzles and fittings. Most installations take less than 8 weeks making tank erection the easiest part of most jobs. Tanks are built using a proprietary jack system in which the tank is built from the top down. The top ring and roof, if necessary, are erected first, the tank is raised on the jacks to the proper height, and the next ring installed until necessary tank height is achieved. This allows for minimal use of scaffolding and quick erection. 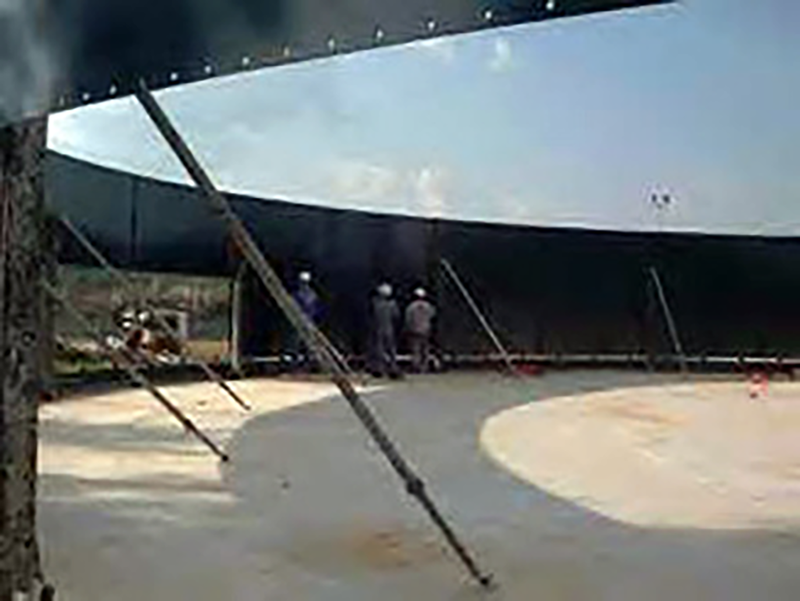 Prefabrication and pre-coating of the tank sheets speeds the process since no additional coatings are needed once the tank is erected. Our builders are OSHA 10 Hour Certified and OSHA 30 Hour Certified. 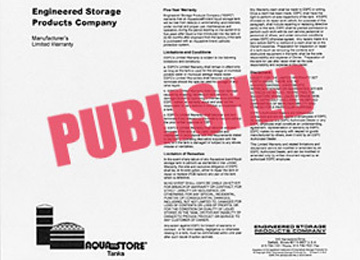 The Aquastore and TecStore Material Warranty includes the structural tank components. Warranties for the Aquastore® glass fused to steel tanks offered by CST Storage can be tailored to meet any requirements necessary. All warranties expressed or implied are strictly those of the manufacturer. Aquastore has the lowest maintenance available today. However, for the maintenance needed, Cady Aquastore will have your tank looking new again with minimal downtime. We only use factory OEM parts to maintain your tank. Pressure washing: Cady can clean the exterior tank walls. Any dirt, stains, algae and even graffiti can be removed. Leaving your tank looking as good as the day it was built. Cosmetic touch-up: Our service crew can remove the old fillet and retool the sheet edges with new polyurethane sealer on the interior and exterior of the tank shell. HDPE plastic caps can also be installed over the exterior nuts and washers to give your tank a bright like new appearance. As an owner of an Aquastore tank, you have a selected the tank with the lowest maintenance requirements available today. The American Water Works Association recommends a tank inspection within every 5 – year period. Cady Aquastore, an authorized Aquastore dealership, can provide these important inspection services to protect your investment. 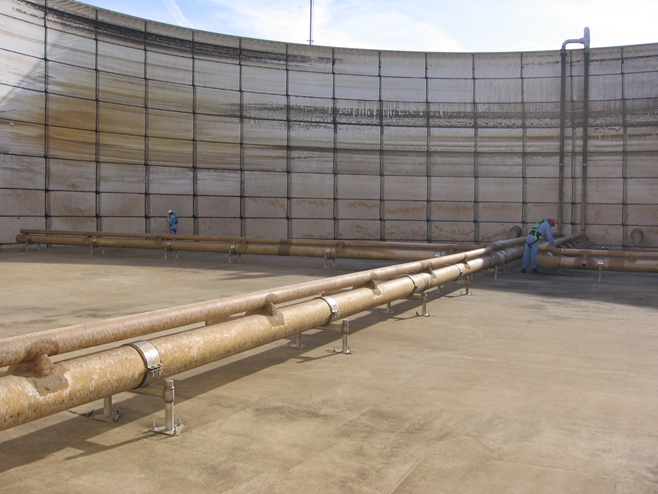 Cady Aquastore service offers an inspection service specifically designed for bolted steel tanks. We specialize in glass fused to steel tanks and OEM parts. Why call anyone else! Roof ventilator including OEM, AWWA specs Bird and Pest screen replacements if necessary. **Ask us about underwater tank inspection services. What if you need to get inside your tank with equipment? New mixers? Aeration manifolds? Contact your Aquastore team, Cadys will come out, remove the needed panels, and you can drive a skid steer inside, or a scissor lift. 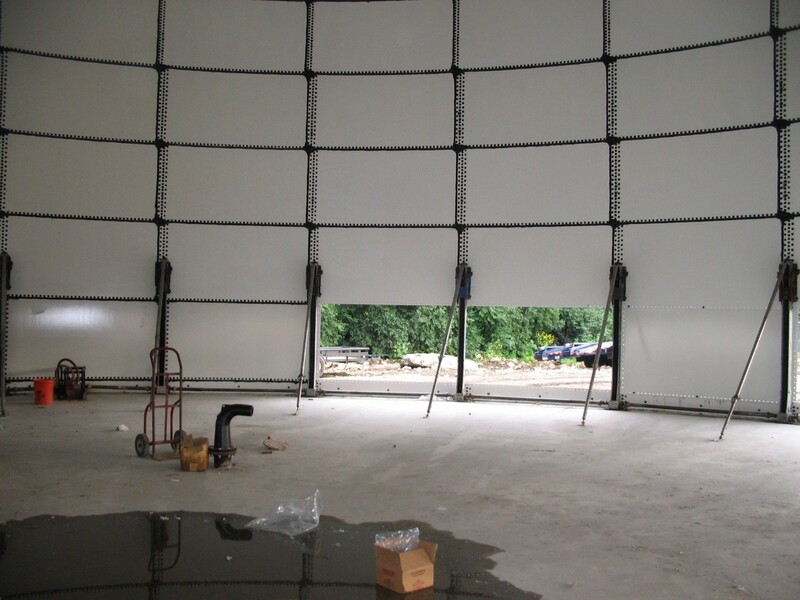 All the benefits of bolted tank construction. Skilled teams of builders will re-install your panels and put the structure in a liquid tight condition, done right, done by professionals.